Our donors mean the world to us. They make it possible for us to create joyful spaces for the children and families we support. 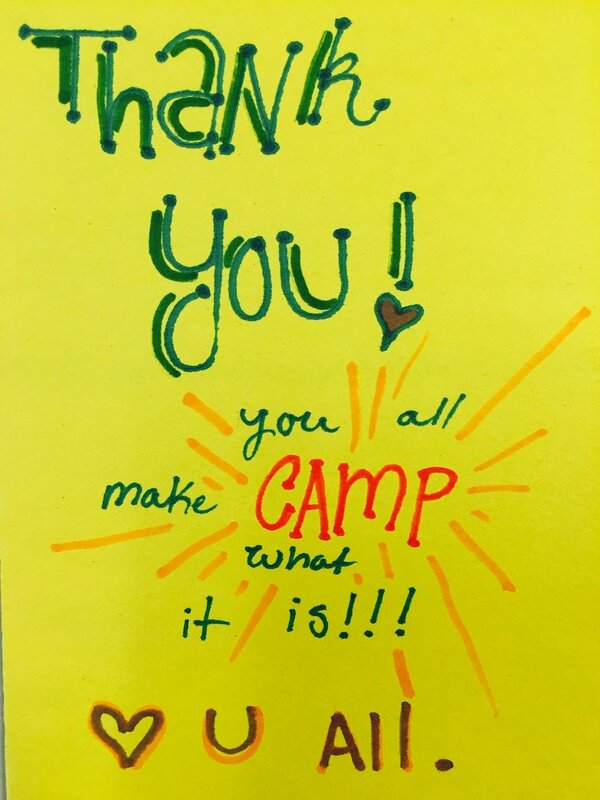 They also don't go unnoticed by our Camp Goodtimes campers who wrote and designed personalized thank you notes to show their love and appreciation.